Fluent in both abstract and concrete aspects of design and expert in iterative, team-empowering processes, I can help frame a vision and make it real in partnership with business stakeholders, technologists, and customers. The above diagram depicts a human-centered process that revolves around the people for whom a product or service is intended. Design is just one among several key functions that collaborate to ensure the organizationʼs success by meeting and exceeding customer expectations. This cross-functional collaboration must be concurrent and iterative. In short cycles of continuous learning the team alternates between abstract thinking and concrete making. Learn: formulate a hypothesis. Based on currently available knowledge and context, a cross-functional product team composed of business (what’s viable), technology (what’s feasible), and design (what’s fulfilling for both customers and the business), targets the highest priority problem and, together, makes an educated hypothesis about how to innovate from a current state to a new, improved state. Build: create an experiment to validate your hypothesis. The team transforms their abstract hypothesis into a concrete, but as-cheap-as-possible experiment that simulates the potential solution to the problem so it can actually be tested (validated) with people who represent the intended audience. Measure: run the experiment and measure the validity of your hypothesis. 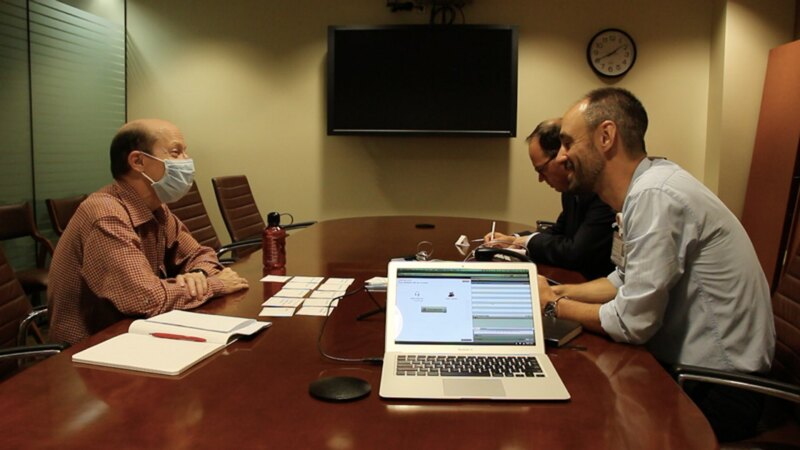 The team meets with five people who represent the intended audience and runs the experiment. 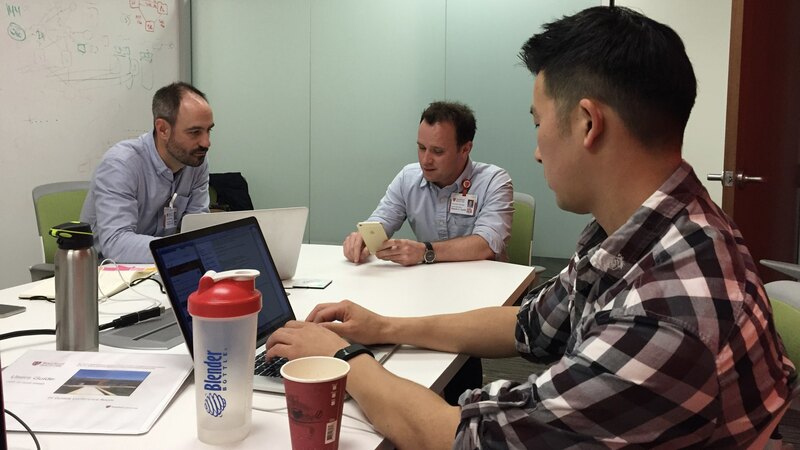 Two team members moderate the interview while other members observe remotely and take notes. Interview moderators guide interview participants through the experiment, asking open questions and probing to better understand WHAT the participant is thinking and doing and WHY. The point is not to focus on people’s opinions; the point is to objectively understand their behavior as they engage with your hypothetical solution and measure the degree to which their behavior matches the team’s expected outcome(s). I help teams cultivate such iterative and adaptable approaches to innovation (e.g. 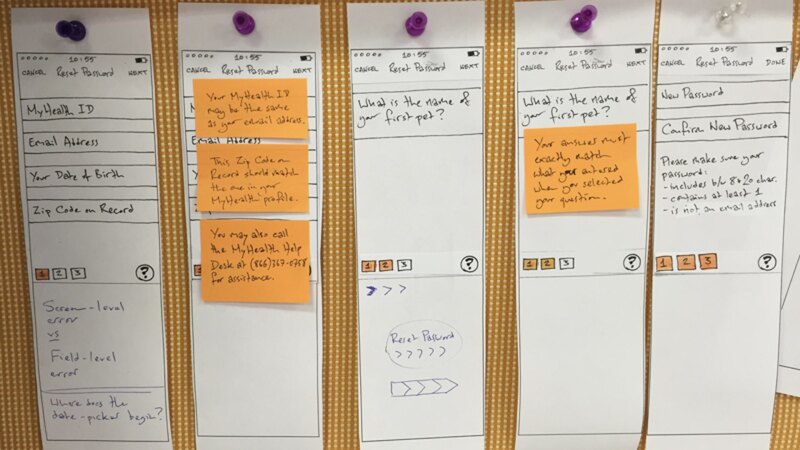 Agile, Lean UX, GV Sprint) that are people-centered, data-informed, business-intelligent, and implementation-aware. Practicing a collegial style of leadership, I thrive on cross-functional collaboration and lead by example. Through design strategy, empathy, teamwork, craftsmanship, and technical ability, I help deliver fulfilling experiences with products and services that are effective, meaningful, and pleasurable. 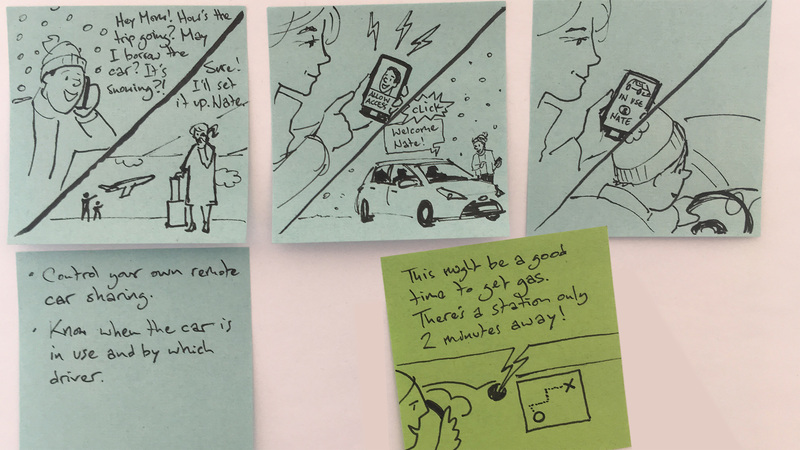 Storyboard sketch for an automobile innovation project. Lo-fi paper prototypes for Stanford Health Care, MyHealth Patient Application. Hi-fi dynamic prototypes with HTML, Sass, jQuery, and Git serving both user validation and design documentation. 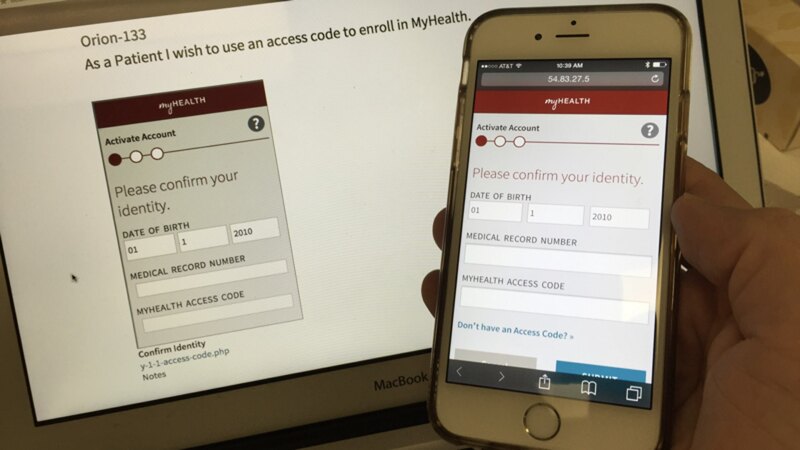 Prepare and conduct regular and continuous customer validation, here for Stanford Health Care, MyHealth Patient Application. Prepare and conduct regular and continuous validation with customer support representatives, here for Stanford Health Care, MyHealth Patient Application. 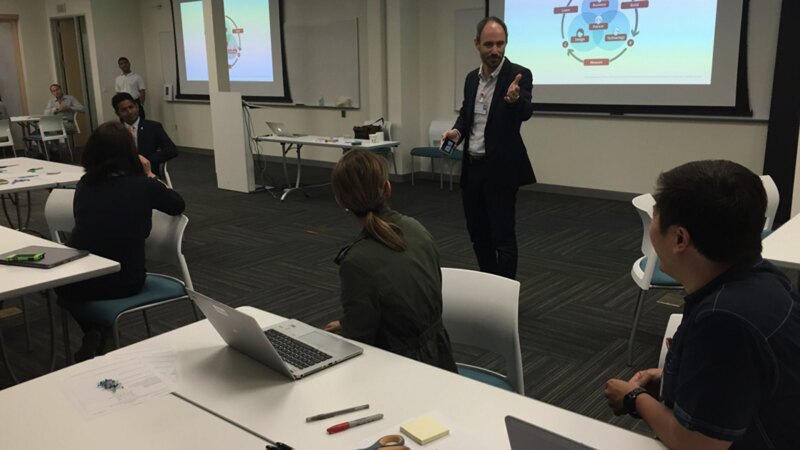 Workshop with Stanford Health Care, ITS Education (in-house training), on principles of human-centered design within an Agile / Lean process. 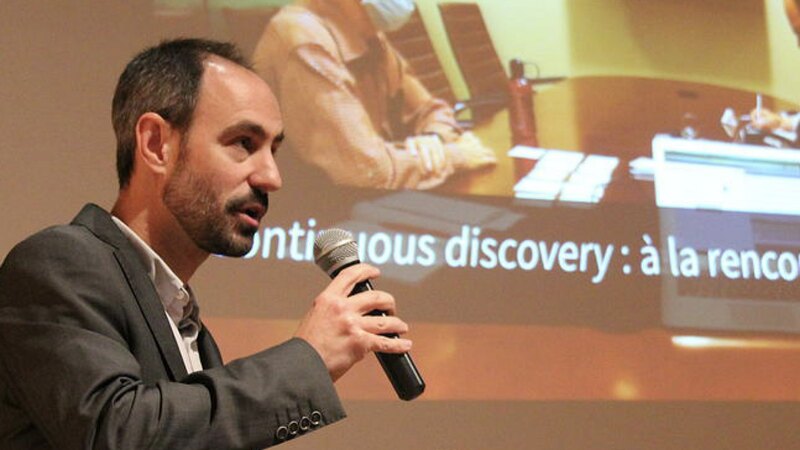 Speaker, Club Innovation by Design, Paris, January 2015. 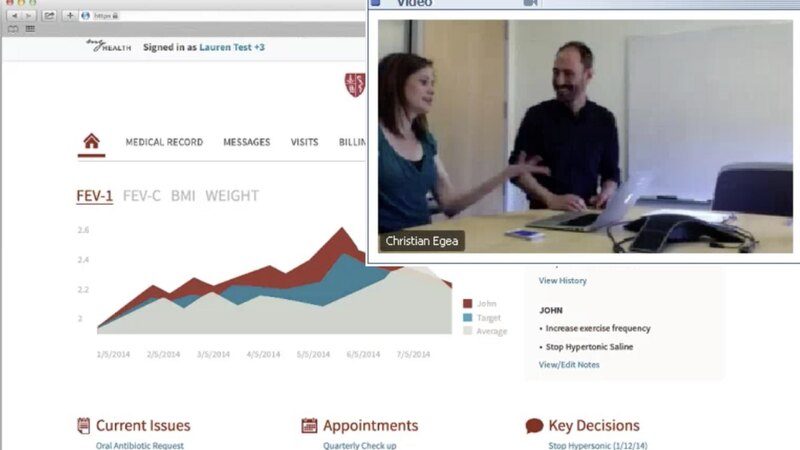 Invited to present on the topic of building a design culture and digital experience at Stanford Health Care.